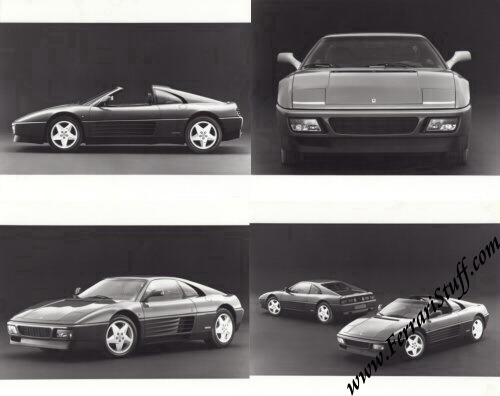 1989 Ferrari 348 TB and 348 TS Press Kit / Media Pack. Official Ferrari Press Kit containing 28 pages + 2 "onion skin" leaves, with pocket, 9 x 12 inches. 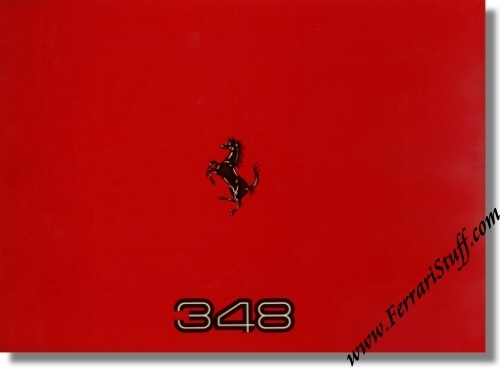 Red cover with black lettering and Prancing Horse emblem. Includes 4 large format ( 9 x 7.5 inches) B&W press photos of the 348 tb and ts. Also shows the Ferrari 312T F1 car on the race track, three performance graphs, three drawings and detailed specifications. Ferrari Print Number 572/89 5M/09/89, issued in 1989, printed in September 1989, by Puntografico in Italy.